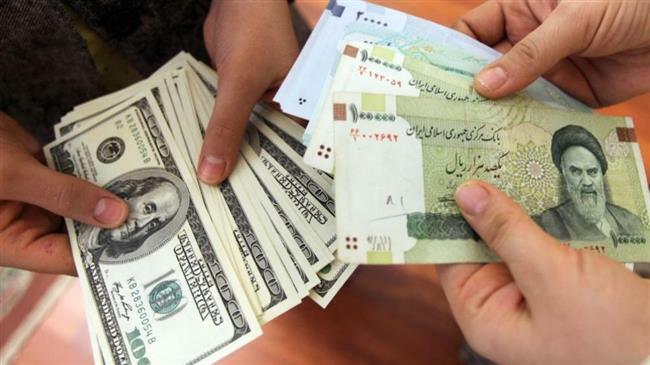 The Iranian regime’s currency, the rial, plunged to a new record low this weekend, dropping past 112,000 rials to a single U.S. dollar. The stunning drop comes on the eve of the re-imposition of harsh economic sanctions by the Trump administration following the decertification of Iran nuclear agreement because of the regime’s continued support of terrorism, development of ballistic missiles capable of carrying nuclear warheads and abysmal human rights record. The first lot of sanctions go into effect on August 7th, while more severe sanctions, including the halt of imports of Iranian oil, go into effect on November 4th. Failure to do so will bring U.S. financial measures that have already caused a flurry of cancellations of contracts by Asian and European companies worried about them; further crippling the Iranian regime. The weekend alone saw a drop from 97,500 rials on Saturday to the 112,000 level on Sunday, a one-day plunge of 12.5 percent, according to foreign exchange website Bonbast.com. Other websites said the dollar was exchanged between 108,500 and 116,000 rials, according to Reuters. The last time the rial experienced a similar death spiral in value was September 2012. The spread between the official trading value set by the mullahs and the black market is a stunning 154 percent. While that may appear to be devastating news for Iran’s ruling regime, the dirty secret is that for anyone holding vast sums of U.S. currency, such as the ruling mullahs and the Revolutionary Guard Corps, they could handsomely profit enormous sums in the blink of an eye, according to an editorial by Steve H. Hanke of John Hopkins University in Forbes. So, while ordinary Iranians are caught in a financial squeeze, the regime’s leadership and military could weather the short-term chaos personally. The question is whether long-suffering rank-and-file Iranians will push for democratic reforms and eventual regime change? The other half of the financial picture of the dying rial is spiraling inflation which has grown increasingly ugly. According to Hanke, Iran’s implied annual inflation rate has surged to 203 percent; almost twenty times higher than the official inflation rate of 10.2 percent. Hanke goes on to give an example of how Bulgaria’s implementation of a currency board helped arrest hyperinflation and put that country back on the road to fiscal health. Unable to exercise any fiscal discipline when its monetary commitments to its foreign and military initiatives drain it of badly needed foreign currency such as buying expensive weapon systems from Russia and China. The dilemma facing the mullahs over its dying currency and the looming American sanctions has forced the mullahs to verbally attack the U.S. but offer little else in the way of real resistance in the face of what is sure to be punishing sanctions. Iranian Foreign Minister Mohammad Javad Zarif weighed in by claiming that Iran would survive any U.S. sanctions. “We have enough power to show the United States that it should abandon this addiction. We believe that the world has come to the conclusion that the United States should overcome its dependence on sanctions,” Zarif was quoted as saying by Iran’s ISNA news agency. He all but begged the European Union to intervene and act in the interests of its member-states and stop blindly following the policy of President Trump, but the issue is not whether or not the mullahs will endure sanctions since they have already literally ripped off the people of Iran in stockpiling their wealth. No, the real question is at what point do the Iranian people say enough is enough and seek real democratic reforms, such as allowing the creation of truly independent political parties that can run for parliamentary and presidential campaigns. Things are so bad in Iran that the regime is preparing to launch its own cryptocurrency to circumvent the decline in the rial. Alireza Daliri, of Iran’s Directorate of Deputy of Management and Investment Affairs, said several domestic companies are developing a digital currency and will launch it after fixing several persistent flaws. He added the unnamed companies were working in coordination with the Central Bank of Iran. Alireza told ISNA news agency they were trying to prepare the grounds to use the virtual currency in the country. He further stated that the digital currency would help the country to transfer money anywhere around the world and would also help the nation during the U.S sanctions. Another piece of fiction being foisted by the regime since crackdowns on global cryptocurrencies by several nations have been effective in combatting their use by narcotics cartels and criminal syndicates. Iran itself banned the instant messaging app Telegram because of the success of the initial offering of its own cryptocurrency which Iranians were hungry for since it was not tied to the rial. In another sign of its desperation, the Iranian regime announced plans to offer price and tax incentives to private investors to take over idled state projects to help boost the economy. Most of these projects were originally managed and financed by foreign companies in the wake of the nuclear deal’s signing in 2015, but now have fled Iran with the looming sanctions. “Over the past few months, the country’s liquidity has gone into housing, foreign exchange, and gold coins, raising prices and provoking public concerns,” Jahangiri was quoted as saying by the website of the state broadcaster. The admission by the regime that its economy was headed for a disaster was more proof that the mullahs were reaching the end of the line in trying to keep the sinking ship of state afloat.